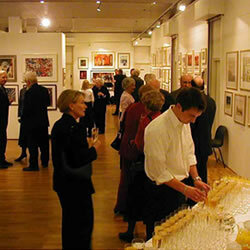 Bankside Gallery is an ideal venue for corporate and private parties. The Gallery, home of the Royal WaterColour Society and the Royal Society of Painter and Printmakers is situated on the south bank of the Thames next to Tate Modern and has panoramic river views of St Paul’s Cathedral and the Millennium Bridge. 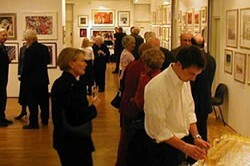 The gallery mounts a superlative range of exhibitions featuring contemporary watercolours and prints, which make for an elegant and sophisticated background to any event.